May 26th, 2017: In today’s show I felt it was important to talk about “How To Avoid Overwhelm”. This is not just for homesteaders or off-griders, but anyone living life! Welcome to the Mountain Woman radio show, where we are homesteading traditionally 100% off-grid today and offering preparedness and survival tips for tomorrow. Here’s your host Tammy Trayer. Tammy: Hi guys, Tammy Trayer, trayerwilderness.com. Get a little feedback here–there we go. I hope you guys are all doing well today, such diverse weather, I imagine some of you are planting your garden for others of you are just about ready to reap some harvest, we’ve got snow last week. So pretty crazy, pretty crazy weather but I am out right now walking the dog so hopefully there’s a lot of feedback and a lot of noise come in but we’re out walking, it is gorgeous, we are getting spoiled here and there by some really nice days-I’m actually out here in a tank top so go figure. Snow last week, tank top today now it’s so crazy. But I wanted to talk to you today about how to avoid overwhelm. it’s not just something that happens to homesteaders or people that live off grid it’s global and with the pace of today’s world, everybody is moving at such a clip. And I’m actually speaking to you today on this because my last three weeks have been beyond insane and a little of which-okay a lot of which I couldn’t really control and I had a kind of just roll with. I am a web designer by trade, I am a writer and radio show host by passion and I am the office staff of a construction business out of necessity because my husband’s business is just taking off which is an awesome, awesome thing and we are really excited about it. Many of you know our story with my healing process and surgery and no income for six and a half months last year so to be able to turn things around and God just continues to bless us so it’s really awesome. And I wanted to share with you how to avoid the overwhelm because so many of us are organization freaks and multitaskers, and people pleasers, and we want our kids to get to everything and to be able to do everything and have opportunities and we volunteer and we don’t know how to say no-I’ve actually overcome that one but it wasn’t an easy thing. And even when I guard my schedule which I do very heavily now, because it became a necessity for me to do that when I was sick and really learned different pace. So to know the importance of that pace and having to race like a lunatic the last three weeks it’s kind of scary because I don’t want to get back in that rat race and I don’t I want to end up in that pace. But how do you do it? 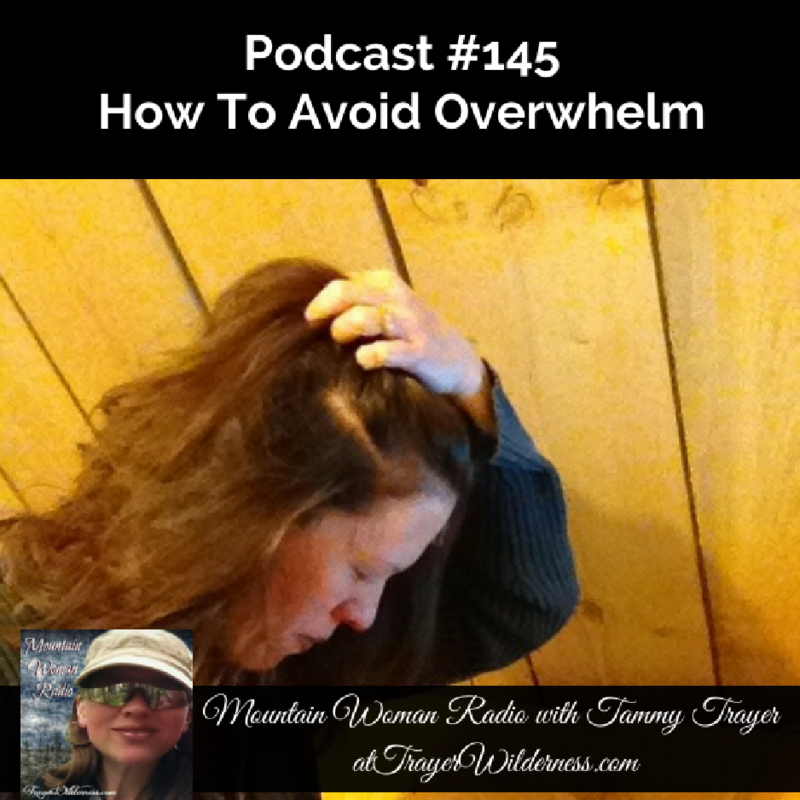 How do you avoid the overwhelm? How do you not over commit and how do you learn to say no? So that’s why I thought we would talk about today. Learning to say no is really a very difficult thing really because it’s stems from fear. And fear is a killer, fear is from the enemy, fear is what holds us back, fear keeps us from enjoying life’s best pleasures. So with that being said, how do you do it? Well you need to learn to be strategic and you need to be comfortable in your skin and be comfortable in learning to say when someone asks you, “Can you do this for me?” You need to learn to say, “I would love to.” “Let me check my schedule and I’ll get back to you.” Period end of story. And then disengage if you can because we’re all really manipulated by pressure and if you’re new to learning to say no, it can be very difficult and you feel guilty, but you shouldn’t feel guilty. Now by walking away, and by saying those few simple words, let me check my schedule and I’ll get back to you, you give yourself three opportunities. One, that you can totally walk away and you can say no. Message back my schedule is full, sorry I can’t do that. Two, you can let them know that you’d really like to do but your schedule is really full, is there another opportunity some other time? Or you can give yourself time to really think about it and maybe you would like to do it, maybe it is something that you definitely want to commit to. But you gave yourself a chance to think about it, to pray about it, to talk to your spouse about it-you know so you’ve given yourself a freedom that most of you don’t know because we’re so quick to say yes and that was one of my biggest fault because I’m a people pleaser, I love helping other people and it was just something that I was so used to doing. So when you learn that one, that all in of itself will help you to learn to commit your schedule to you, your family, your needs, their needs and keep you from overcommitting that is huge. Now organization is something else that’s really, really, important in my opinion and that’s not something that everybody is gifted with. Praise the Lord I am right in really deep trouble but I am very organized and almost to a degree that I’m you know-however, I know that there’s many people out there that struggle, they try so hard to be organized and they have a notebook and they have a planner and they have apps on their phone and then they hit overwhelm there because they don’t know how to keep track of it all and where is the best place to do it. So the thing, is you got to find the one thing that really helps you to keep track of everybody schedule. Because if you’re like me, if you’re a mom-I keep track of my schedule, I keep track of my son schedule, my husband’s schedule, three businesses and who knows what else. So there’s always things to keep track of and in each business there’s a multitude of different levels of things to keep track of. So finding that happy place of organization is really important and staying focused on it every morning; seven, eight o’clock, I regroup on my schedule and at night before I go to bed I try to do the same what I didn’t get done today needs to be transferred to tomorrow and that way I don’t miss things, I don’t forget things. I also have an organization class that will be available at trayerwildernessacademy.com, so if you haven’t signed up there we will be opening doors very soon, I highly recommend it if you’re not an organized person because it will help to simplify things for you; that’s the biggest thing is people overcomplicate things. When you can keep it simple that’s huge. So getting your schedule, keeping it and understanding it, I use something called NOZBE you can go to trayerwilderness.com/nozbe as in boy E. And the best thing I’ve ever done for myself, I also corporate that with Google calendars, I saw that on my phone. I can see a month at a glance on a regular basis and everything is color coded, so I know what business it is and what person it is. So I know that sounds over complicated but I’ve got a lot to keep track of so that’s what works for me. And the other thing that is my right hand is Evernote, if you have not heard of it or you’re not part of it, go to trayerwilderness.com/evernote. There are apps on a lot of the phones, I know my iPhone has a notes app pad but it wasn’t very functional. You can search-they have definitely improved it but Evernote is so important for me. When I was sick, one of my biggest struggles was remembering things and my brain staying intact at all times. So if I didn’t write it down, I was lost and to have a million sticky notes all over the place, bad business-bad news. So I started using Evernote very, very, seriously and I actually use that with my staff as well so that they can keep in touch and they can see the some of my notes that are of relevance to them. So it’s very, very, good software and I highly recommend it. But being organized is key and being able to say no, not letting people attack your schedule and it’s hard trust me, I know how hard it is folks but those are the two things that you want to get under wraps. The other thing is making sure that you’ve set aside time for you. I am out here walking with my dogs right now for two reasons: One, I need it and two, they need it because when they get cooped up for too long they get really rambunctious and really crazy. So I can walk and talk to you and I am recharging my battery, I am detoxing, I am getting sunshine and vitamin D and my dogs are just happy as all get out. So whatever it is that gives you happiness sink into it, ride a bike, walk, exercise, scrapbook. Whatever it is that suits your fancy, make sure you give yourself at least 15 minutes a day if not more. I try really hard to be good to myself because if I am good to myself, I’m good to everybody else; my family, my husband, children you know and that’s important to me. I want to be the best me that I can be and good to me as well because when you’re tired and worn out and overwhelmed you don’t even say nice things to yourself. So consider those things. Now this is something that is really important to me and may not work for you and may not be important to you but it is my key thing. In the morning before I do anything, I’ll sip my cup of coffee or my herbal tea and I will read my Bible. I will get into the word that like totally rejuvenates me in a different way. It balances me, it makes me feel connected and just feel so different. When I go without that, I feel the difference. So it’s really important to give yourself that time and to find those things that works for you and if reading the Bible is something that you’re into, I really recommend it every day. Doing that just–can’t even explain–I almost feel like I can’t put it into words because when I go without I just feel so bland, so stunted, so dysfunctional, so disconnected–that’s what I’m looking for-disconnected-I feel disconnected. So you know find the things that work for you. I know for me, part of my overwhelm is that I don’t get to spend the quality time with my son that I want to or with my husband because I’m chasing the next tasks, the next chore, the next trip to town. Right now I’ve been racing to town. As you all know I stay very much that I like to hunker down and I hate leaving the homestead. So for the last three weeks I’ve been gone just about every day and working on the road which gets very difficult sometimes especially when all your equipment is failing and fighting with you with our financial struggles, my IPhone, my iPad and my laptop all started going at the same time because I haven’t had the funding to upgrade them and that too can be a real overwhelm because my laptop is my life, it’s my livelihood and I’m down to 13 gigabytes of storage space so I’ve got to make some adjustments and you know if you’re working environment isn’t–if you work from home you know having your working environment clean and organized and your equipment working well for you that too can just make life so much easier. I really struggle with clutter because clutter screams at me and requires my attention before other things to which it shouldn’t but that’s how I’m made up. So I try to keep things organized and neat so that I am fully functional and those things aren’t overwhelming me and dragging me down and making me be less or feel less of a productive person. So those are my thoughts on trying to avoid overwhelm. The other thing too that really goes along with your schedule is having a to-do list and I do that through NOZBE and I also do that through Evernote. You know coordinating sometimes like my big things on my calendar when I have little things I got to do like running to get carburetor cleaner for the Mountain Man and you know that goes on Evernote for the day and those it’s like a shopping list. So you know keeping a To Do list is really important. What’s also important is not letting it overwhelm you, don’t put too much on it or be like I am and I put everything on it but what doesn’t get done today gets moved to tomorrow is just it is what it is. You can’t do everything, you’re not superwoman, you’re not Superman as much as we want to try you know you will kill yourself trying. I did, done here-so you know this applies to both men and women it’s not just us ladies. You know men go through this too and we all process things differently, our brains look at things very differently. So these are my biggest tips to you as to what has helped me because I don’t like living life feeling like I’m having a panic attack to get everything done and I really see and feel that that’s what a lot of people are doing today and you really need to step back and enjoy your life and feel good about the things that you’re doing in your life and how they are going and you know what nobody else is in control of that except for you and me. We have to hone in on as on our means and lasso in the structure we need, and the balance we need and it’s very hard. But this tips I shared today will give you a good basis to get yourself on track. So I hope this helps, I encourage you to go to trayerwilderness.com. Every Monday we have a brand new blog post, Wednesdays you can find us on our YouTube channel and on Friday you’re stuck with me here at Mountain Woman radio. Additionally, you can also find our newsletter every Sunday and right now we’re giving away preparedness worksheets that will help you get yourself organized and functioning and heading toward a self-sufficient lifestyle. So if you haven’t subscribed go to trayerwilderness.com/newsletter. Thanks so much for joining me today and I will see you again next Friday, take care and God bless. You’re listening to the Mountain Woman radio show, where you will learn something new every week. We hope you enjoyed the show and encourage you to join us at trayerwilderness.com and be sure to connect with us on iTunes, remember your reviews on iTunes are very important to us and help us reach more people just like you. I go through this blog daily and I’m blessed everyday. May God give you the grace to continue blessing others. Thank you SO much David!! Your comment makes my heart sing! May God bless you and your family! !